IP Office R11.0 available NOW! 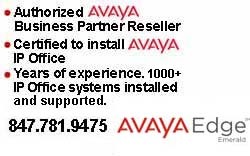 Having troubles with your Avaya IP Office? Are you frustrated that your IP Office is not programmed or performing the way that you expect? Bishop Computer provides on site services in the Chicago & lower Wisconsin areas for other Avaya Business Partners as well as to our own clients. We also provide technical phone support to other technicians throughout the U.S.
Certified Avaya IP Office technicians with years of experience.